Glaucoma is a very serious eye disease where the pressure inside the eye becomes higher than what is healthy for the eye. It is always the result of the fluid on the inside of the eye not being able to leave or drain from the eye as it normally should; it is never due to an overproduction of eye fluid. Glaucoma is not only painful but results in blindness. The diagnosis of glaucoma is made through a comprehensive exam, which will include the testing of the intraocular pressure (IOP) or the pressure of the fluid in the eye. The testing of IOP is called tonometry. There are different types of specialized instruments that can be used to measure IOP. For reference the normal eye pressure of a dog/cat is 10-25mmHg but most will be between 10-15mmHg. Gonioscopy is the examination of the iridocorneal angle or “drain” on the inside of the eye. 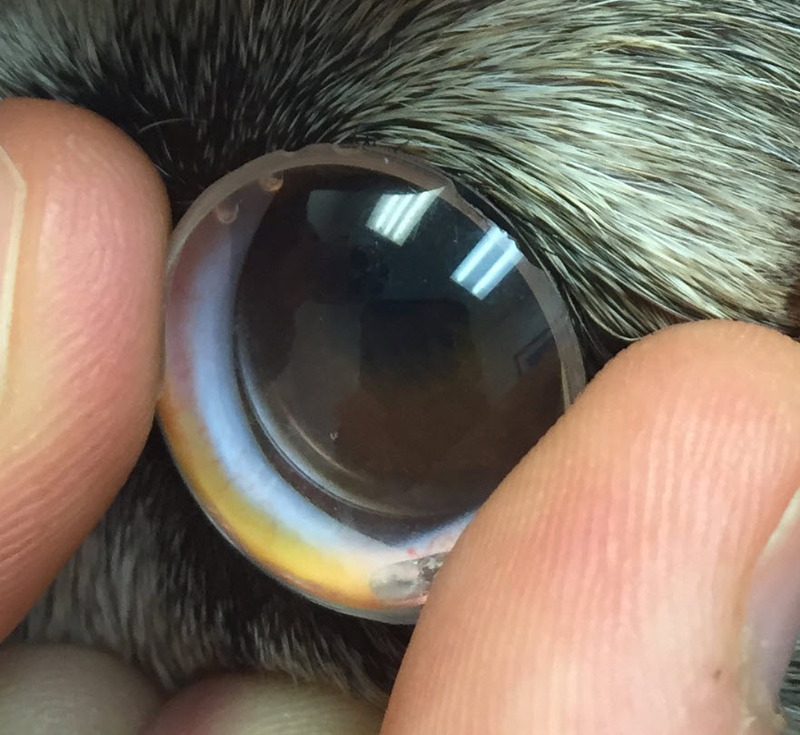 By placing a goniolens on the cornea and allowing the Ophthalmologist to visualize the angle we can assess whether the glaucoma is due to an abnormal drainage angle. It also allows helps determine the risk for the development of glaucoma prior to completing cataract surgery.